Somehow the story of “A Christmas Carol” isn’t often recognized for what it is: a clearly drawn work of speculative fiction, a fantasy. Dickens’ classic is a fantasy story that had somehow transcended the genre, and was ahead of its time — a century before Lewis and Tolkien. 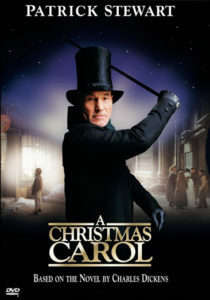 This Dec. 25 brought an especially pleasant surprise my family and I — a 1999 motion picture adaptation of the famous holiday novelette by Charles Dickens. Among the dozens of movie versions, this one apparently isn’t as well-known, though it should be. Its script captures the book almost perfectly; the sets are great; visual effects are top-notch, especially considering the year and the made-for-TV medium; and acting, superb. 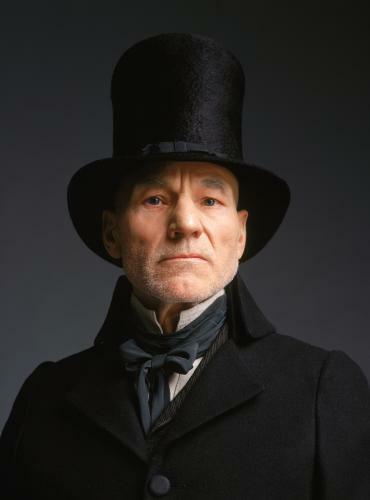 And perhaps best of all, Patrick Stewart is in command of the bridge, playing with majestic drama the title role of Ebenezer Scrooge. 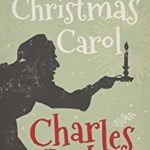 Somehow the story of A Christmas Carol isn’t often recognized for what it is: a clearly drawn work of speculative fiction, a fantasy. And this film, to me, seemed to draw that out all the more clearly. 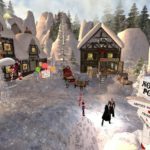 Will a reader or viewer of Christmas Carol find gnomes? Crossbows? Dragons? No. But, Ebenezer Scrooge during his three journeys with the Spirits of Christmases Past, Present and Future, does rather fantasy-like things like become invisible, travel through time and fly to locations throughout England. His ghost hosts are, respectively, an angel-like creature, a giant, and a wraithlike figure, cloaked in gray, who resembles the Grim Reaper. And though the story’s moral worldview is clearly Judeo-Christian, Dickens blended in the rather “pagan” elements of ghosts and somehow made it all work. This is a fantasy story that had somehow transcended the genre, and was ahead of its time — a century before Lewis and Tolkien. Somehow it’s become ingrained in culture, almost too much. 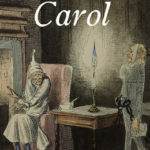 Dickens made Scrooge an adjective, fictitious ghost visitations widely imitated, and humbug a term so common that it even avoids spell-checker red-wavy-underlining in Microsoft Word. 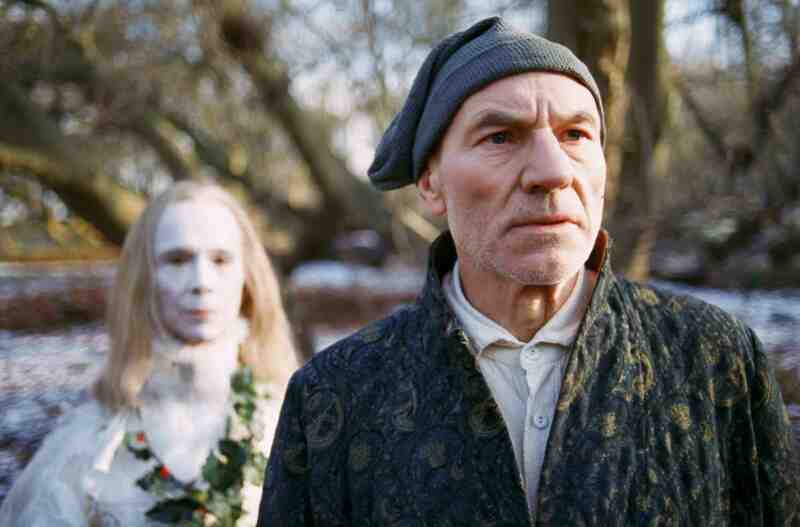 The Patrick Stewart film’s visual effects (evidently the first Christmas Carol adaptation to use computer-generated imagery) makes the speculative elements even clearer. The ghost of Jacob Marley melts through Scrooge’s bedroom wall, and minutes later, his lips and jaw horrifically drops two feet when unfastened. Scrooge gazes through his window to the street outside and beholds the spirit world, full of floating, spectral figures. 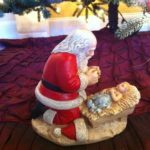 The glowing Spirit of Christmas Past fades in and out, his edges more transparent than the best of his body. And the Ghost of Christmas Present whisks Scrooge to witness Christmas celebrations elsewhere, flying across England within a dark, whirling funnel cloud. Dickens somehow got away with an insane idea for its time — something that would likely not pass muster if submitted to a Christian publisher today. The story’s theme, now proved timeless since its publication in 1843, was completely against the trends of the time. It seems the celebration of Christmas was actually becoming a has-been at the time in England. Dickens helped revitalize it. And his original goal was to pay off some bills — along with pushing a not-so-subtle propaganda. A similar scene occurred one hundred years later, when multiple writers were trying to be the smartest person in Europe and talk about how people need to read Reality stories. Lewis and Tolkien said the heck with that, wrote up a few crazy novels about fantasy worlds and somehow got them published. The world trembled. Readers loved it. And no one cares much for those smartest people in Europe now — except to set the cultural context for Lewis, Tolkien and their literary progeny. Every trend has its day; sometimes, literally only a day. Then it’s over. All the movies with similar themes, pulp-paperbacks in one genre, pop-hunk heartthrob “artists” lip-syncing for dime-a-dozen songs, news reports about shark attacks, etc., will all go away. Might anyone remember “The Spice Girls”? (Not for too long, before it’s disgusting.) Might anyone remember how repugnantly prevalent they were in media? It is not so anymore, thank Heaven. Their 15 minutes of fame weren’t worth an atom of length even on the young-earth Creationist timeline of history. Unfortunately the same occurs in Christ-honoring publishing. What’s the dominant genre now? Well, thrillers and mysteries are more prevalent, which is good. Yet still the dominant genre is the Romances, with all manner of adjective modifiers: contemporary, historical, comedic, cozy, prairie, city, country, Irish, Scottish, Australian, Albanian, Liechtensteinien, etc. Throw a rock in a Christian bookstore, and you’ll likely hit a woman and about three Secret Sisters buying pillowcase-loads of Cozy Romance paperbacks. Now how long might this dominance last? Maybe only a few years longer. Maybe only until another Dickens, Lewis, Tolkien, or even a Peretti or Dekker comes along and writes something that seems especially insane at first but then catches on like wildfire. Or maybe the Romances will seem to last long after people like us are trying to be the smartest people in the U.S. and claim that the Christian pulp-romance is due to be replaced by Speculative Fiction. Ah, but we might back up this claim with Scripture. Yes, the Author of the Bible itself is quite clear on this point: that ultimately, almost all the really important stuff right now, whatever’s on the charts, whatever’s grossing the most at the box office or on the New York Times bestseller list, is doomed to go away. All the other creative works and timed trends will either be roasted or else become absorbed into the Timeless: the realm of Eternity. However, I’m willing to suppose A Christmas Carol would have a place in the Timeless. It’ll share shelf space in Heaven’s libraries along with The Chronicles of Narnia, The Lord of the Rings, and multiple other novels that broke ground for new growth instead of following in the same tired, crusty furrows. Dickens’s Christmas Carol broke ground. He revitalized old traditions and forged his own, worldwide, and almost by accident. The next great sci-fi or fantasy author, especially within Christendom, will likely stumble into the same role. That can only happen if the author isn’t too trapped in modern “sensibilities” and trends to see the Timeless, to work and strive for its effects. Yet Christ-followers, especially, should have an edge over non-Christian writers, because we know and serve the One Who invented Timeless. Too often Christian artists try so hard to copy the pop tunes everyone’s playing now. But fantastic, courageous works, such as A Christmas Carol and stories like it, harmonize much better with the Composer’s greater Soundtrack. I could watch it a dozen times in a dozen versions (of the original story, that is, not retellings), for the sheer fascination of the directors’ and actors’ takes on its essentials. It’s a Wonderful Life and the Scrooge adaptations have become synonymous with Christmas in our film culture. I never thought of Scrooge as being avant garde, though–that’s interesting. Audiences loved to hear him read it aloud, they say, which must have been amazing.